Challenging yourself! Goal setting, planning and action! DO YOU HAVE GOALS? DO YOU HAVE A PLAN SET? HAVE YOU TAKEN ACTION? When was the last time you challenged yourself mentally? I mean REALLY challenged yourself? 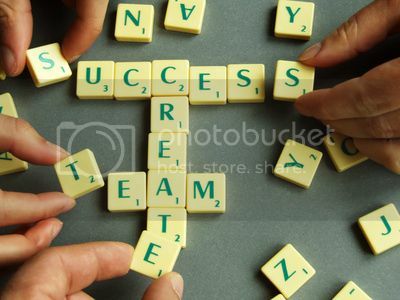 THE NECESSARY STEPS TO SUCCESS ARE AS FOLLOWS IN THE PICTURE TO THE RIGHT! What do you really need to do, to find success? That is what we are all learning, and along this long path to success I have come to be so shocked by some of the answers I have read from successful people. Take notice to how I said "successful" people. Not a friend of yours, or close relative that doesn't have any money or mental stability to find success, but still tries to give YOU advice on how to gain money. I have read that this is a fact, that you can tell the income of one person, just by asking 4 or their closest friends what their incomes are. Is that true for you? Stop and think about your 4 closest friends. Why would you take advice from someone that doesn't have what you want? I used to take advice from all these people I knew, but they did not have a thing I wanted. Maybe a few of them had a few more bucks, but they had NOTHING compared to what I truly wanted. If you want advice, research someone successful, in your eyes, that you can look up to. Maybe if it is not even money you want and it is something different, find advice and learn from those who have it or want it as bad as yourself! Do not let people that do not have what you want, or even want what you want, tell you how to get there! How would they know? I know I want it! I would like to post some of the keys to success that I have been trying to apply to my own life, that I have read online by some successful and influential people. So read, learn and pick the brain to use some of this to help you find anything you want, what ever it may be. If you are not failing, you are not trying anything new! –Dale Carnegie. Dale Carnegie was an American writer and inspirational speaker. Just do it. Period. Many people talk and talk about what they are going to do, but never do it. That is just laziness. If you get an idea out of no where, do it! That idea did not just pop up into your head for no reason, it came to you, to help you find the success you want and deserve. What is the difference between successful people and un-successful people? Successful people talk then do. un-successful people just talk. 3. )"The secret of success is learning how to use pain and pleasure instead of having pain and pleasure use you. If you do that, you're in control of your life. If you don't, life controls you.-Tony Robbins" Tony Robbins is an American author and motivational speaker. Think positive. There is no ifs, ands or buts about that. You have to keep your mind on a positive track, if you are ever going to achieve anything in life you want. Now, I am not being unrealistic saying that you have to be positive 24/7, because frankly, that is just not going to happen. But you have to make some effort to change your thoughts, try to be more grateful and turn your negatives into positives more often. Do you have goals set? If so, do you have them written down? 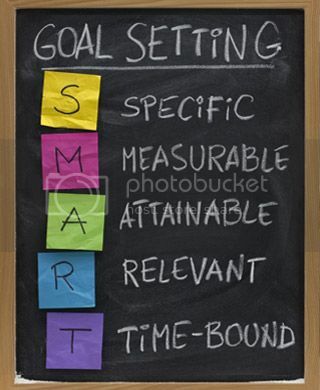 Just like the chart above states, you have to be specific with your goals. If you are just thinking (Well I just want more money, that is my goal.) You are not being specific enough. Write down exactly how much money you would like to make, every month. A goal which you believe, is reachable for you. Do not make your goal so high you can not yourself, believe it. If you can not believe, you will not achieve. Make a reasonable goal for yourself. Is your goal attainable for you? When I ask that I mean, do you believe you can attain it? You have to believe in what you want, with all your heart. If it is not money you want, write it down, whatever it is. Keep that thought in your mind. Be specific and clear, really think about it. It is all about YOU, and what YOU want out of life. Make it good!